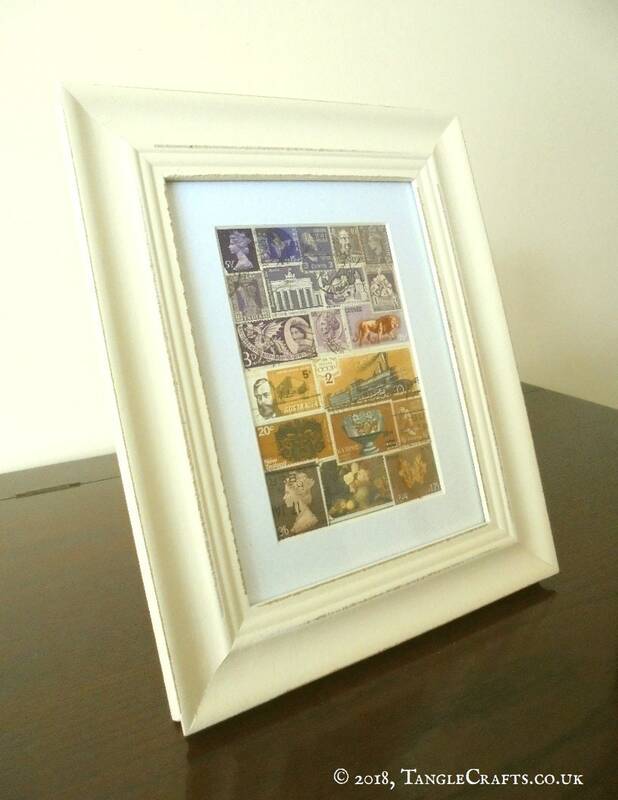 Upcycled Postage Stamp Collage Art: a splash of bohemian colour for your home office, and a unique talking point! 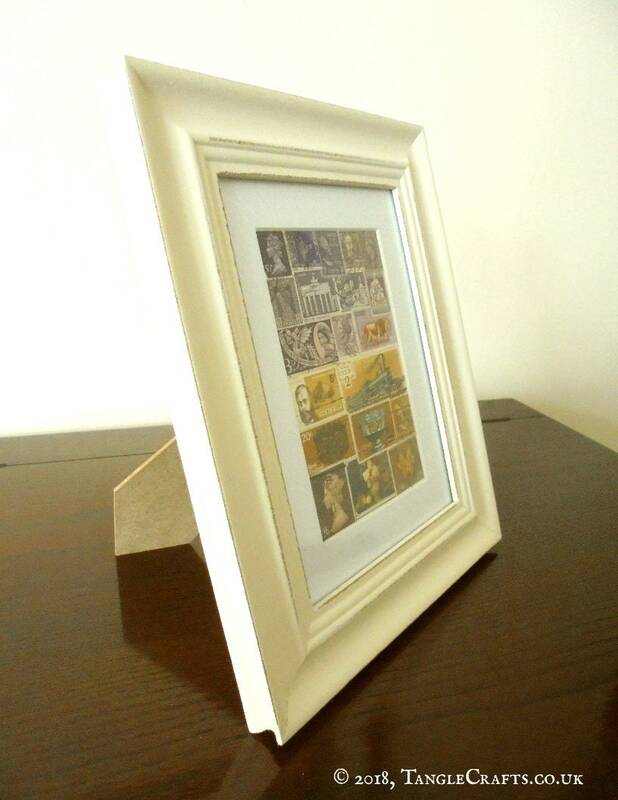 PLEASE NOTE: I have made every effort to represent the colours as closely as possible, but please remember that what you see may vary due to the differences in colour representation on different computer monitors/screens. 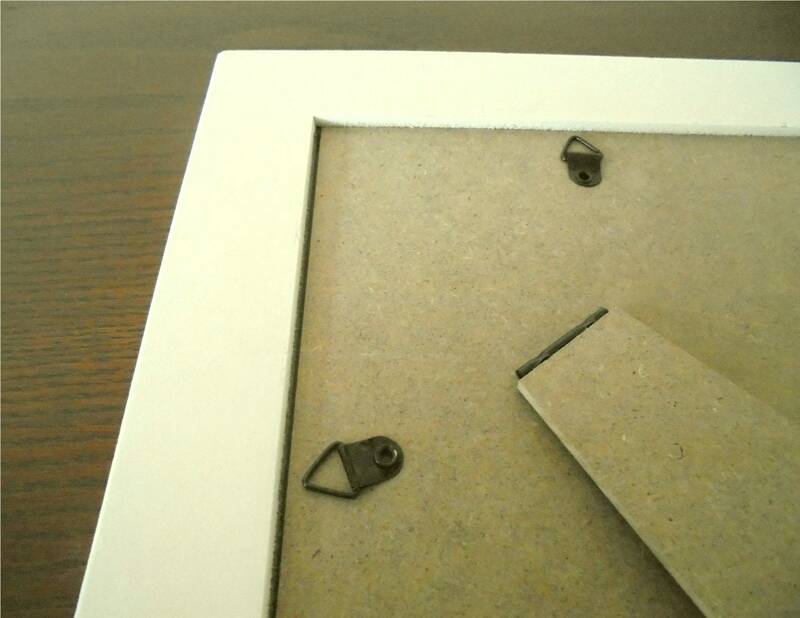 * Also includes standard picture hook fitting so that it can be hung, if preferred. 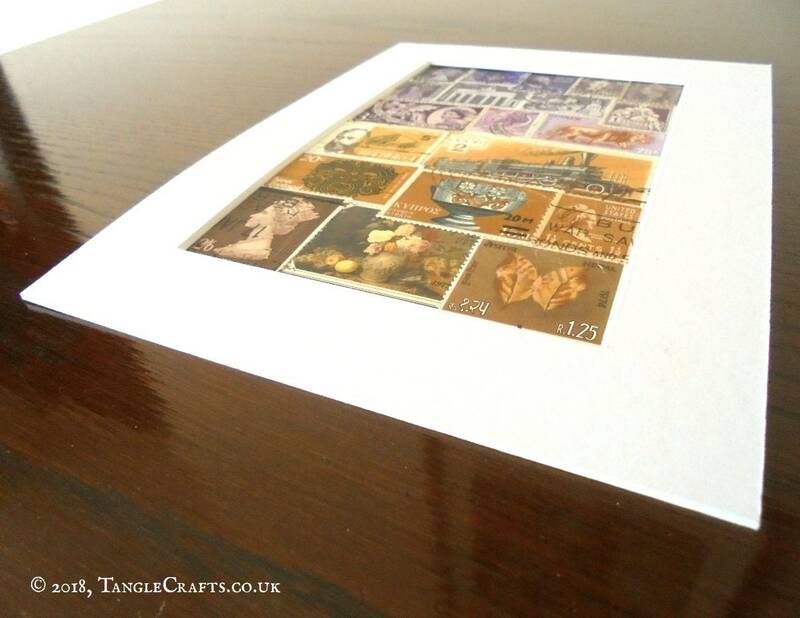 The collage features an abstract, imaginary landscape in lavender-purples and sandy browns. 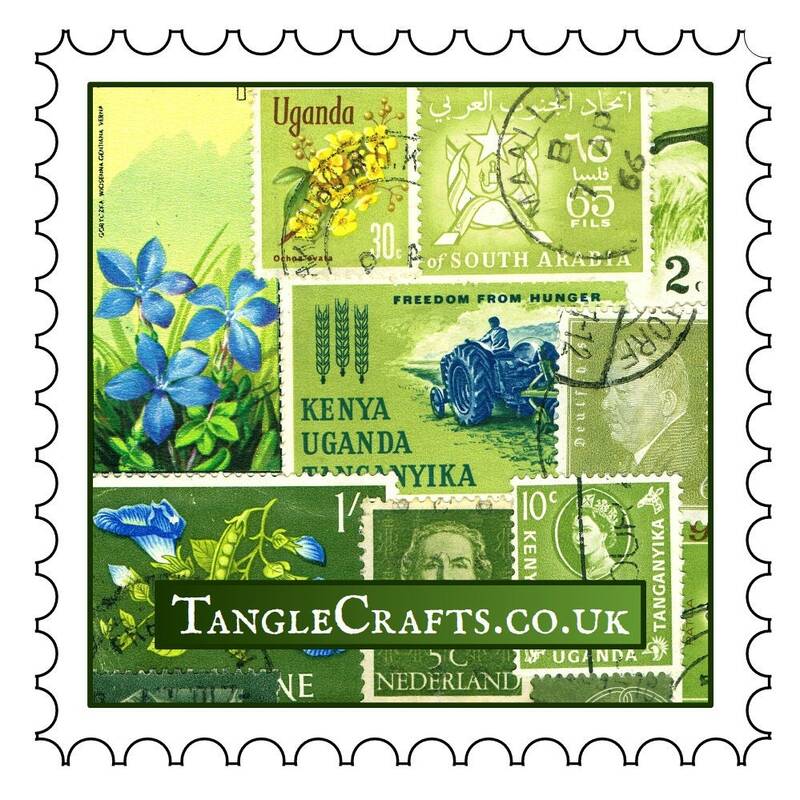 The postage stamps date from a wide range of periods, from the turn of last century up to the mid-1970s (or thereabouts). 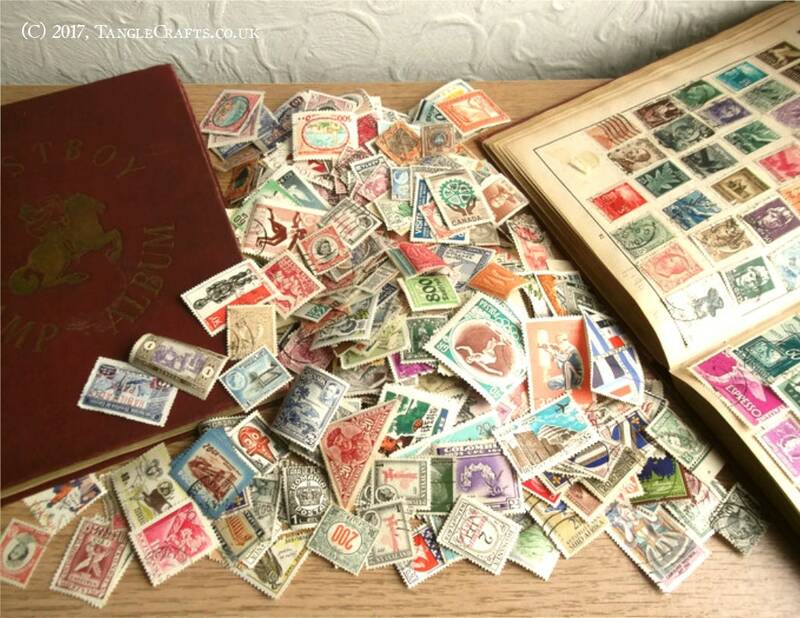 They still bear fragments of postmarks and other cancellation marks as a testament to their former active service for worldwide postal services, providing a real sense of history. 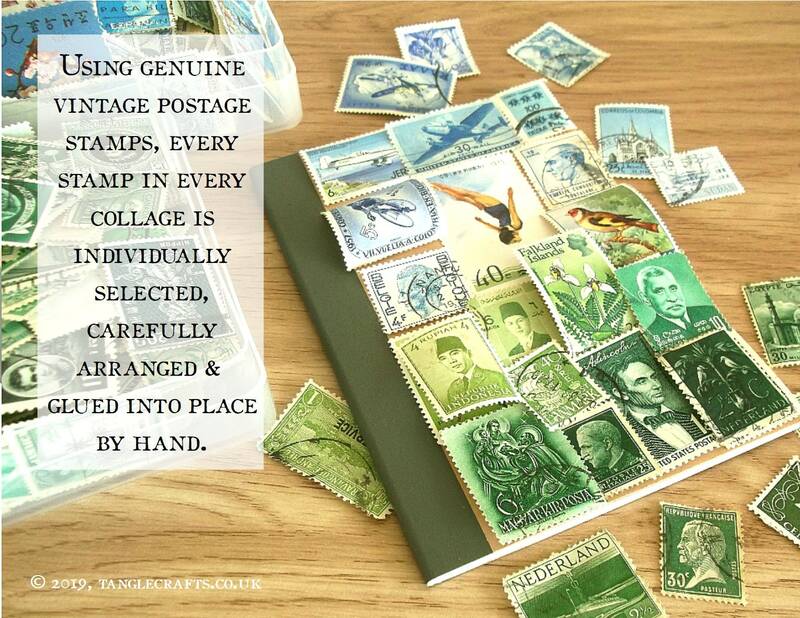 Includes stamps from Australia, Cyprus, Denmark, Germany, Great Britain, Guinea, Hungary, India, Italy, Nepal, New Zealand, Romania, Russia, the United States, and more! 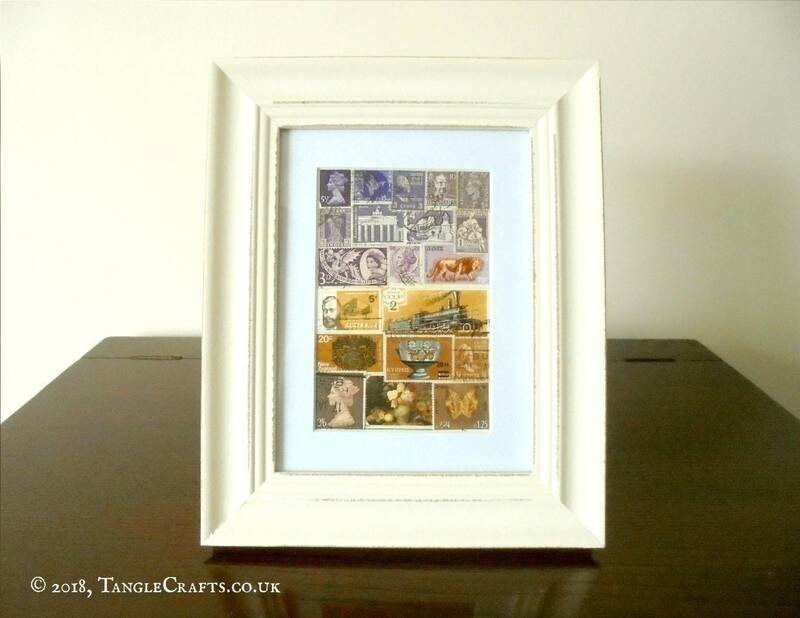 Would you like a similar framed collage of postage stamps, but in an alternative colour combination or with stamps from a particular region? 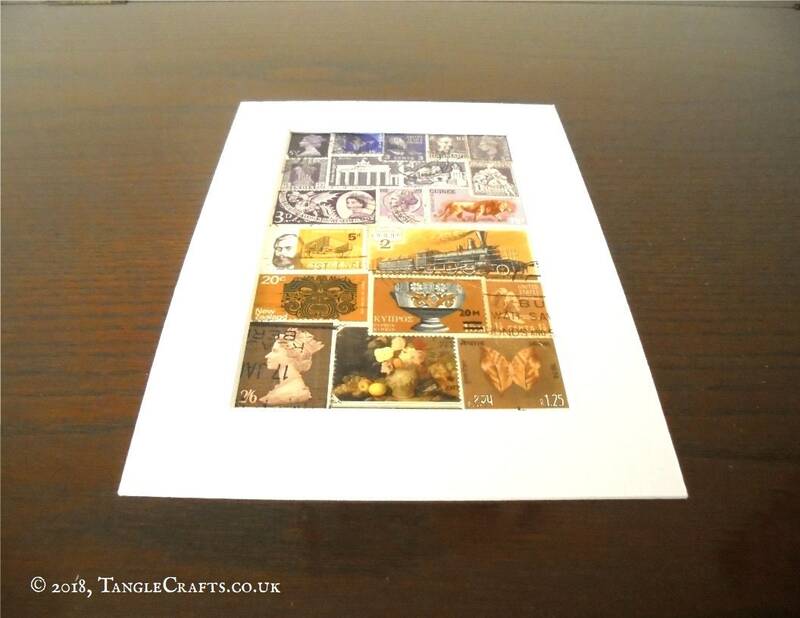 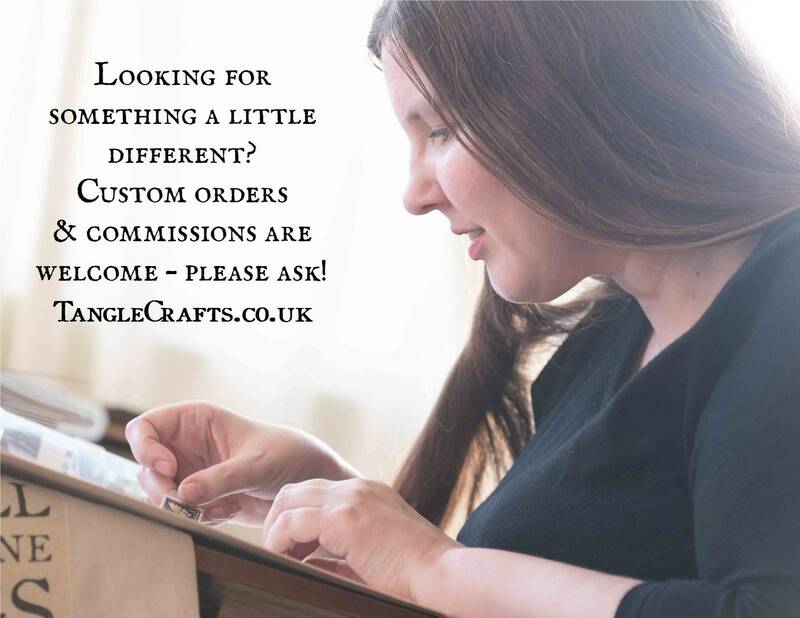 Please contact me with your requirements, and I will be happy to create a custom collage, just for you.